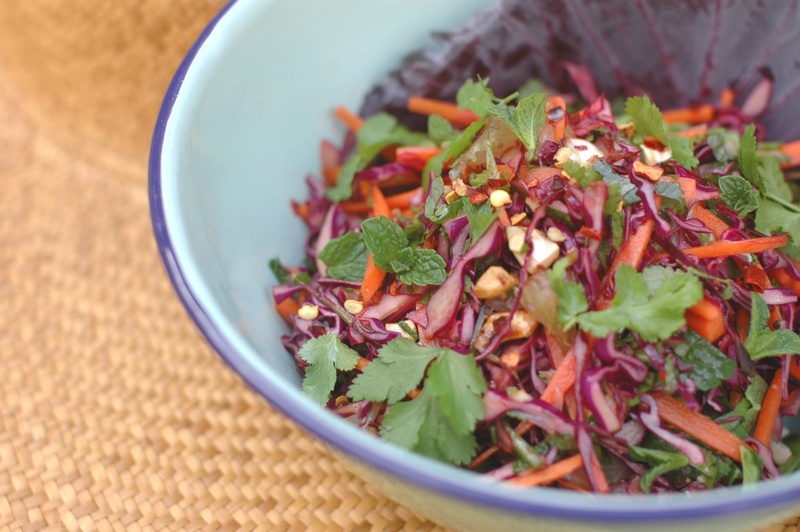 Brightly coloured with crisp slivers of fresh vegetables and a zesty lime juice dressing, this Asian-inspired coleslaw has the sweet-salty-spicy-sour balance down pat. 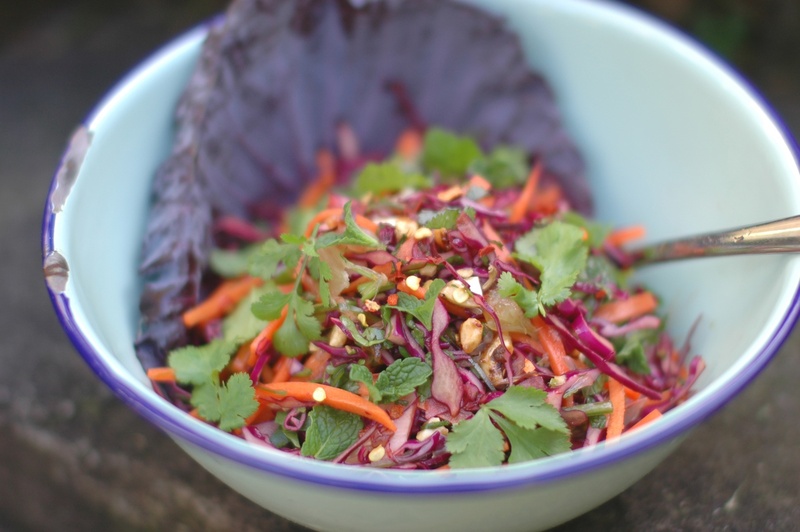 Serve with rice and barbecued fish or tempeh for a perfect early-spring sunshining lunch. 1. Combine lime juice, zest, fish sauce, sesame oil and garlic in a small jar: shake vigorously to combine and set aside. 2. Toast cashews over a medium heat in a saucepan, stirring constantly until golden. Working quickly, add the butter and swirl to coat the cashews. Remove from the heat and sprinkle over sugar, red pepper flakes and salt: keep stirring until everything is stuck to the nuts. Transfer to a plate and allow to cool then coarsely chop. 3. Combine cabbage, carrot and most of the herbs in a wide bowl. Toss with dressing and most of the nuts then transfer to a platter or plates and top with the reserved herbs and nuts.